A lovely group where you design your own necklaces, make clay beads and courses on glass beads can be arranged. The Club has a wide range of beads free, plus you can buy some beads at the club or just simply bring your own. All tools, wire and finding are available from the Club so all you have to do is come along and join us. 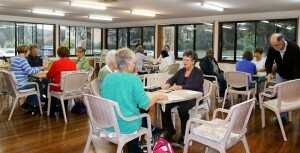 Duplicate Bridge is held at the Club for players of all levels. This is a great opportunity for you and a partner to improve your Bridge playing skills in a friendly environment. This program provides in-depth instruction for all levels of bridge players, from beginner to advanced. New courses usually commence in February and July and are of 6 month’s duration. Contact the office if you are interested in attending a course. Classes suitable for beginners are held on Tuesdays from 1.30 – 3.30pm commencing 5 May 2015. The script this Term is Copperplate, the very elegant hand used throughout the 17th and 18th centuries. A great way to personalise your greeting cards, write small verses, titles, etc. Basic equipment of pen, paper and ink is required and will be explained at the first lesson. For those who have equipment bring it along. If you would like more information please contact Pam Kemp at pamelamegan@gmail.com. 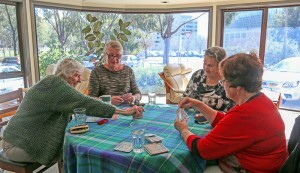 Carpet Bowls involves playing an adapted game of traditional lawn bowls, only inside in a more casual and comfortable setting. The game is played with eight colour-coded Bowls and a Jack. 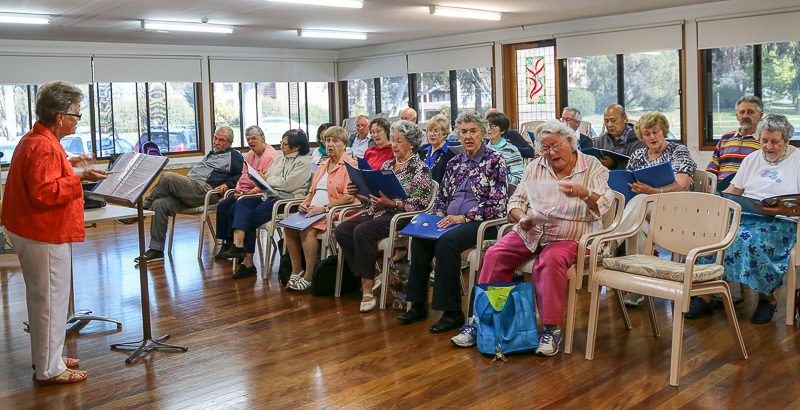 The Woden Senior Singers is a group that meets once a week to rehearse. 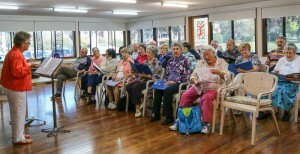 The Choir performs a wide repertoire on special occasions for the Woden Senior Citizens Club and also entertains at nursing homes and hostels across Canberra. There is no audition process, all you need is a love of music and a desire to sing. 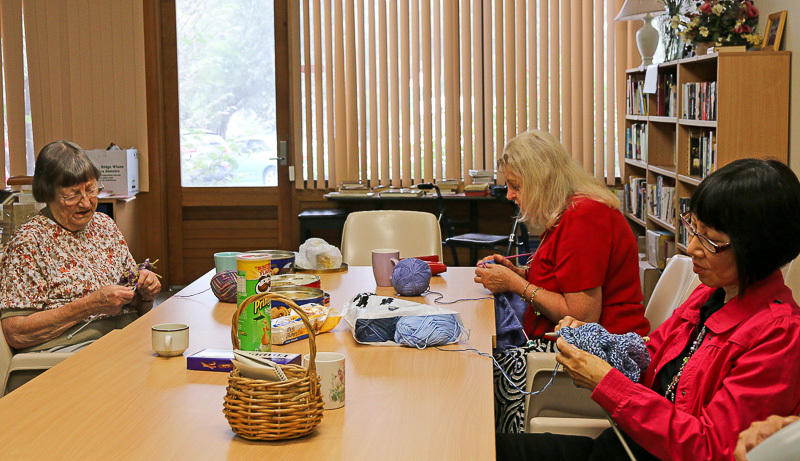 The craft group provides a wonderful opportunity to get together with others to explore and swap crafting skills and create something unique.The group crochet and knit a variety of items for charity organisations. Similar in style to ballroom dancing, this activity involves ballroom steps danced in a sequence. Each dance sequence is repeated 3 or 4 times depending on the length of the tunes orchestration, and couples dance around the room/hall in an anti-clockwise direction. Rhythms include modern waltz, old-time waltz, quickstep, rhumba, cha-cha, tango, foxtrot, saunter, blues, march time. This club has a set list of dances to the above rhythms, some common to other new vogue, modern sequence venues. New dancers to the activity are most welcome, but limited teaching time is available. Folk Dancing is an instructed social activity where group members get together weekly to learn the steps of traditional folk dances from all over the world. 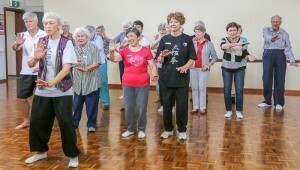 Demonstrations of the steps are provided at the beginning of each class after which members are able to participate in as many dances as they wish. Two levels of exercise classes are available both with YMCA trained instructors. 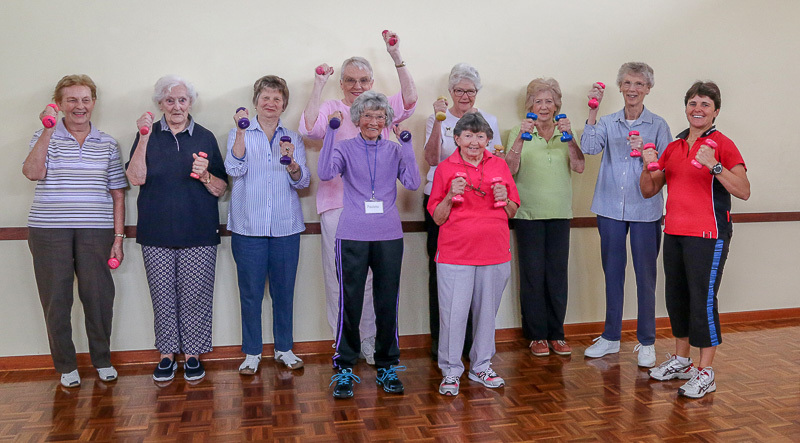 Gentle exercise classes are specifically designed to improve mobility, strength, balance, coordination and agility. This is a fun, low-impact activity. We offer a program of small group iPad courses specially designed for seniors and conducted by professionally trained and experienced volunteer teachers. Click here for details. Isabella dance group is an instructed dance class and is a great opportunity for members to get together and dance modern sequence dance steps. 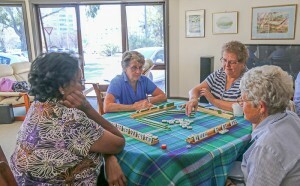 Mah-jong is an authentic Chinese game for four people played with tiles (similar in size and shape to dominoes). The aim of the game is to “go out” by completing a hand composed of four sets of three tiles each plus a pair. The first person to achieve this goal wins the game. It is similar to the card game of rummy. Fun for everyone. Painting and drawing is run by The University of the Third Age (U3A) and allows painters and sketchers to advance techniques and expertise. Members can gain inspiration and helpful tips from the instructor and other artists of the group. The U3A Recorder Orchestra and classes are for musicians of all skill levels, who enjoy playing the recorder. Optional one hour group lessons are held for additional tuition, prior to meeting with the Recorder Orchestra. 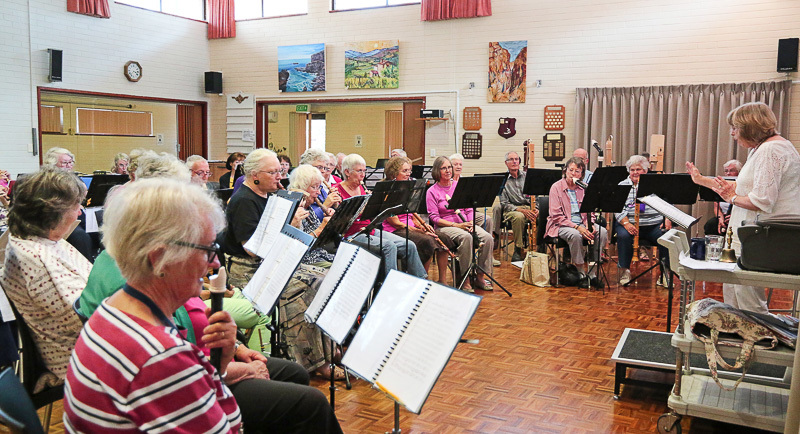 The recorder orchestra often perform in nursing homes and retirement villages across Canberra. 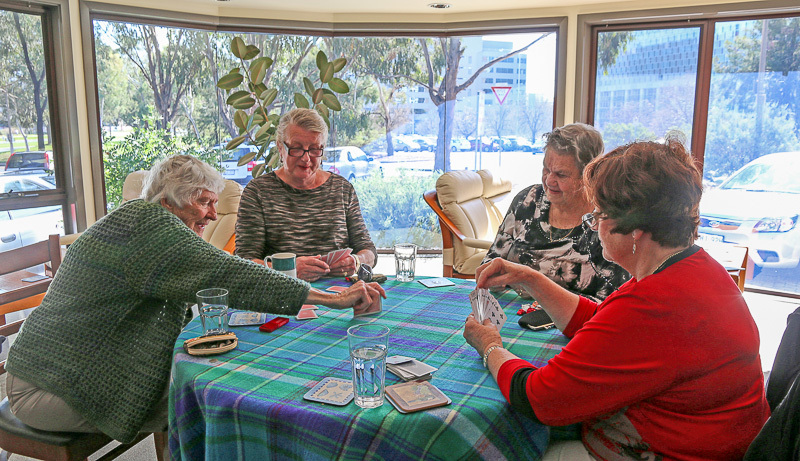 This popular card game does not differ greatly from the game of Bridge. Solo is played with a 32 card pack consisting of the A, K, Q, J, 10, 9, 8, 7 in each suit. There are four players, each ultimately playing for themselves, though temporary partnerships can be created by the bidding. However, depending on the way you bid, considering the cards you have been dealt, you may be left ‘solo’ for the remainder of a hand. It is not considered as intense as Bridge, however, it is slightly more challenging than the game of 500. Beginners as well as seasoned card sharps are all welcome. Our “Thursday Stitchers” are a group of Club members with a special interest in all aspects of hand embroidery, ranging from Cross Stitch and Stumpwork to Crewel (surface stitching) and Norwegian Hardanger. Meeting in the Anne Murray Room, which are held from 10 am to 12 noon each Thursday. Friendly games of table tennis are the perfect way to build strength and improve reflexes and fitness. 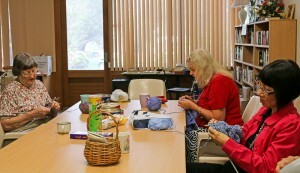 The group currently meets twice a week, on Wednesday and Friday mornings. Anyone can play, no matter their skill level. This gentle and relaxing martial art encompasses multiple physical benefits as well as inner healing. 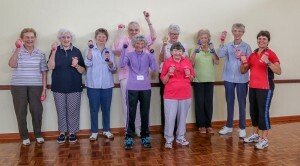 Members work to their own capacity to improve balance, muscle tone and breathing patterns. There are two forms of Tai Chi, Yang and Sun, offered at the club. Sun Tai Chi was developed by a medical practitioner to assist with mobility, arthritis and circulation. 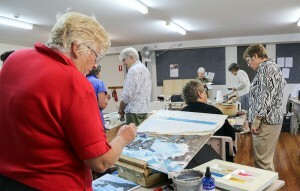 This self-help watercolour group is run by the University of the Third Age (U3A) and is a great opportunity to get together with fellow artists to improve painting techniques and skills. 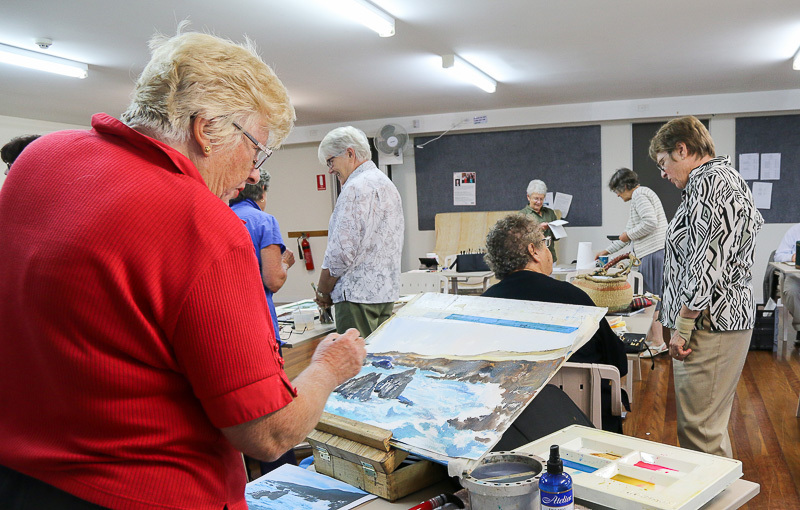 There are books available from the Woden Senior Citizens Club Library to assist in paint application method and to provide inspiration for creating the ultimate masterpiece.